NAVAL AIR STATION PATUXENT RIVER, Md. – May 14, 2013 – Northrop Grumman Corporation (NYSE:NOC) and the U.S. Navy today launched a new chapter in the history of unmanned systems – carrier-capable unmanned aircraft – by successfully catapulting the X-47B Unmanned Combat Air System (UCAS) demonstrator from the deck of the USS George H.W. 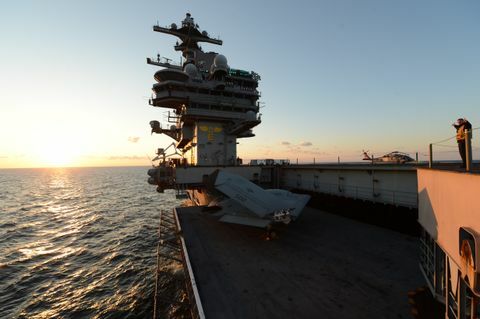 Bush(CVN-77). 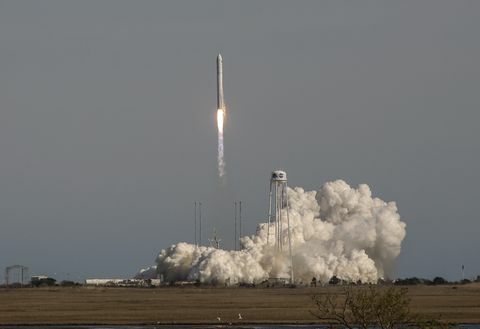 The launch occurred at 11:18 a.m. Eastern time while the carrier was under way off the coast of Virginia. The tailless, strike-fighter-sized aircraft flew autonomously back to Naval Air Station Patuxent River where it landed safely 65 minutes later. "Today's catapult launch of the X-47B is a momentous feat for naval aviation," said Capt. Jaime Engdahl, Navy UCAS program manager for the Naval Air Systems Command. 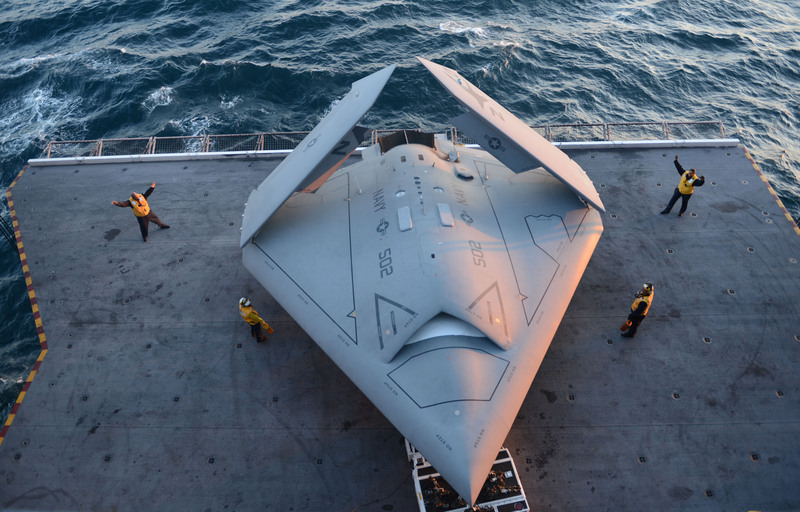 "It proves that the Navy's goal of operating unmanned systems safely and effectively from aircraft carriers is well on its way to becoming a reality." Northrop Grumman is the Navy's prime contractor for the UCAS Carrier Demonstration (UCAS-D) program. The company designed, produced and is currently flight testing two X-47B air vehicles for the program. Air Vehicle 2 completed the catapult shot. "Catapulting the unmanned X-47B off the USS George H.W. 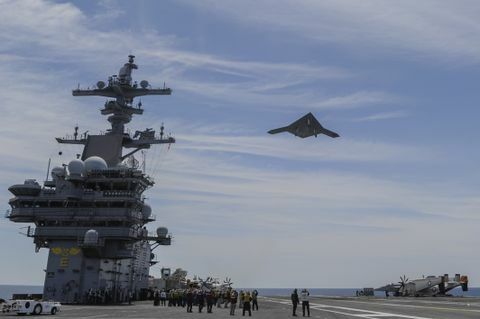 Bush is an event as historic as the Navy's first catapult of a manned aircraft, which occurred in Nov. 1915 from the armored cruiser USS North Carolina (ACR-12)," said Carl Johnson, vice president and Navy UCAS program manager for Northrop Grumman. "We are delighted to help launch this new era of naval capability." 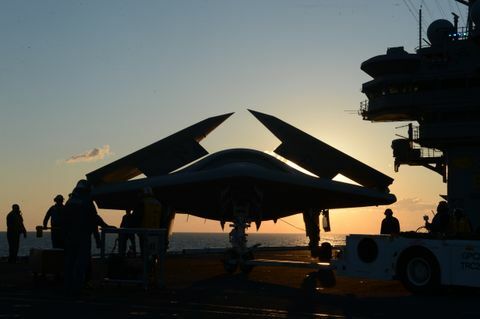 The X-47B catapult launch occurred just one day after the USS George H.W. Bush had departed from Naval Air Station Norfolk, Va. The current at-sea period is the second such test period for the UCAS-D program. 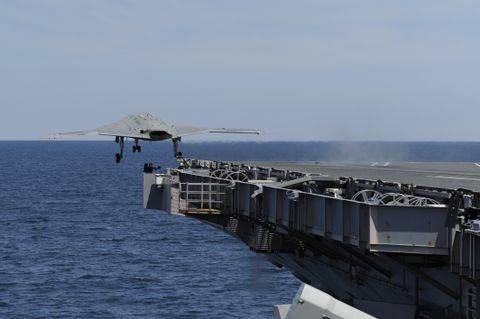 In December 2012, the program hoisted an X-47B aircraft aboard the USS Harry S. Truman (CVN-75), then demonstrated that the aircraft could be maneuvered safely and precisely on the ship's flight deck, in its elevators and in its hangar bay. 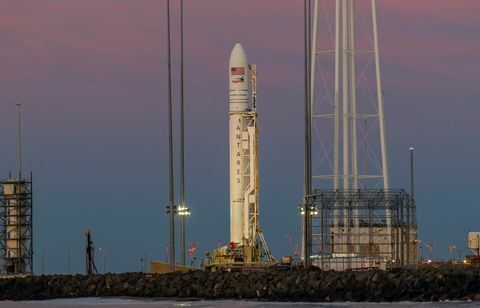 In preparation for the launch, the UCAS-D program successfully completed a series of shore-based catapult shots at Naval Air Station Patuxent River between November and March. The air vehicle was transported by barge from Patuxent River to Naval Air Station Norfolk in early May, then hoisted aboard the ship. 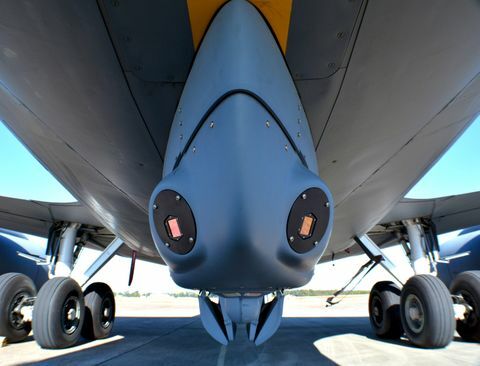 Northrop Grumman's UCAS-D industry team includes Pratt & Whitney, GKN Aerospace, Eaton, GE Aviation, UTC Aerospace Systems, Dell, Honeywell, Moog, Lockheed Martin, Wind River, Parker Aerospace and Rockwell Collins. The latest news and information about the UCAS-D program can be found atwww.northropgrumman.com/X-47B.